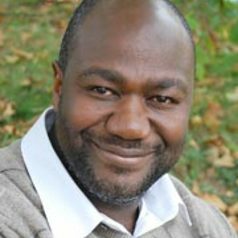 Professor Chukwumerije Okereke is a global climate policy specialist and jointly leads the Leverhulme Doctoral Scholarships Programme on Climate Justice: Ethics, Politics, Law at the University of Reading. Chuks was appointed Reader in Environment and Development in June 2011. He was previously a Senior Research Fellow and Head of Climate and Development Centre at the Smith School of Enterprise and the Environment, University of Oxford. He continues to be a visiting fellow of the Smith School and Oxford University's Environmental Change Institute (ECI). He is also a fellow and college adviser at the Green-Templeton College Oxford. Before joining Oxford, Chuks was a Senior Research Associate on the Post-2012 International Climate Policy programme at the Tyndall Centre for Climate Change, University of East Anglia.